Celebrate the schools in the Madison cluster and see all of the great things that are taking place throughout the schools (elementary through high school) in our Madison community on Wednesday, April 10, 5:30-7:30 pm at CPMA middle school, 5050 Conrad Ave. (92117). Families will enjoy performances by Madison cheerleaders, JROTC, color guard, band, and drumline, in addition to performances by other schools. There will also be art displays featuring Madison's student artists. Food will be available for purchase. CORRECTED: Madison High School will host a “Spring into College” night on Thursday, April 11, 2019 in the auto-torium from 5:30-7:30. Topics include college and financial aid information, as well as Madison’s Mesa community college course offerings. All 9th-11th grade students and parents are encouraged to attend. Every student who attends with their parent will have 10 tardies excused. We look forward to seeing you next Thursday Evening. Spanish translation and sign language interpreters will be available. 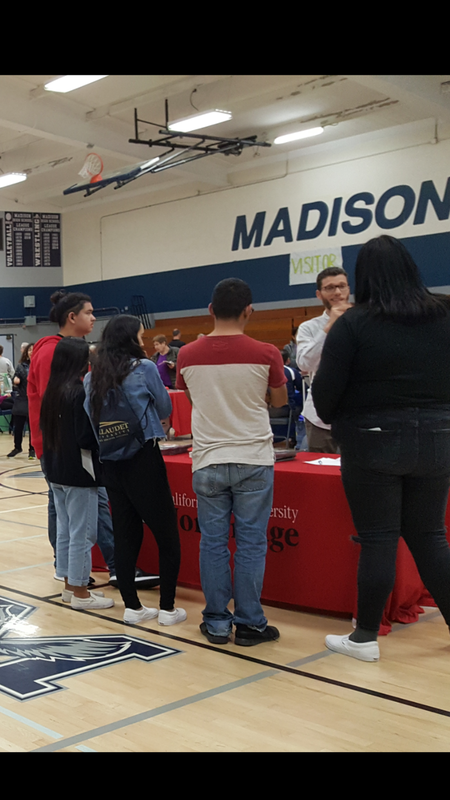 On Thursday March 14, 2019 the Deaf and Hard of Hearing (D/HH) Program at Madison High School hosted a College and Career Transition Fair in the gym. 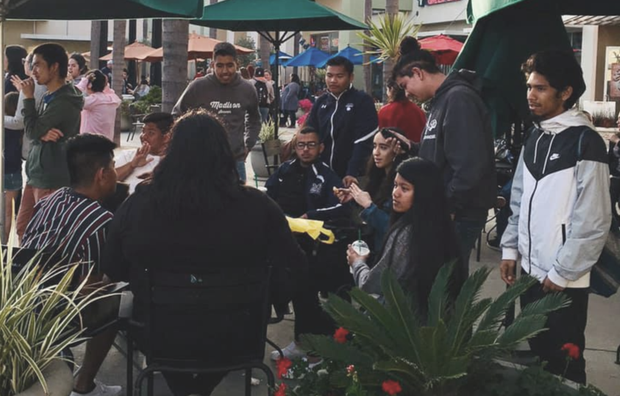 The event was an opportunity for D/HH students within San Diego Unified School District to explore the many options and services available to them after high school. The event was well attended by current and former students, their families, teachers, and community members. 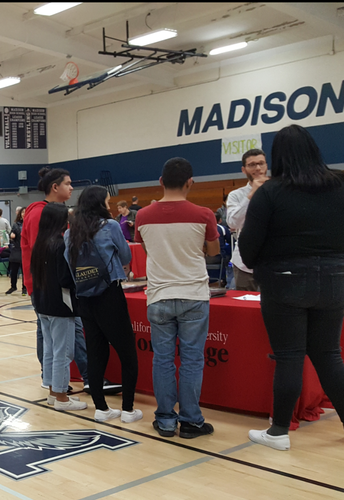 With 48 exhibitors onsite, which included both local and out of state 4-year universities, local community colleges, and various agencies, students and parents were able to ask questions and receive a wealth of information. The event was a success in that not only did it connect parents and students with an array of resources, but it was a fun-filled evening with opportunities for socialization and camaraderie. Madison Parent Survey: We are half way there! Please fill out the survey and return it to Ms. Yesenia in the counseling office; students who return the completed survey will be entered to win a $50 Target gift card offered by the Foundation of James Madison High School or take it on-line at surveys.wested.org/csps/TR469AR. Nutrition Break is here to stay. The nutrition break is offered during passing period between periods two and three. The Madison cafeteria staff are out with their carts to offer students grab-and-go snacks during the passing period. Next school year the passing period will be extended by two minutes to give students additional time to get a snack before class begins. Food Bank Drive: The DHH Transition Class is hosting a Food Bank Drive from now until April 19, 2019. You can donate canned foods, rice, cereal, peanut butter and other non-perishables to the office or room B-12. Just put it in the red barrel or donate on-line.